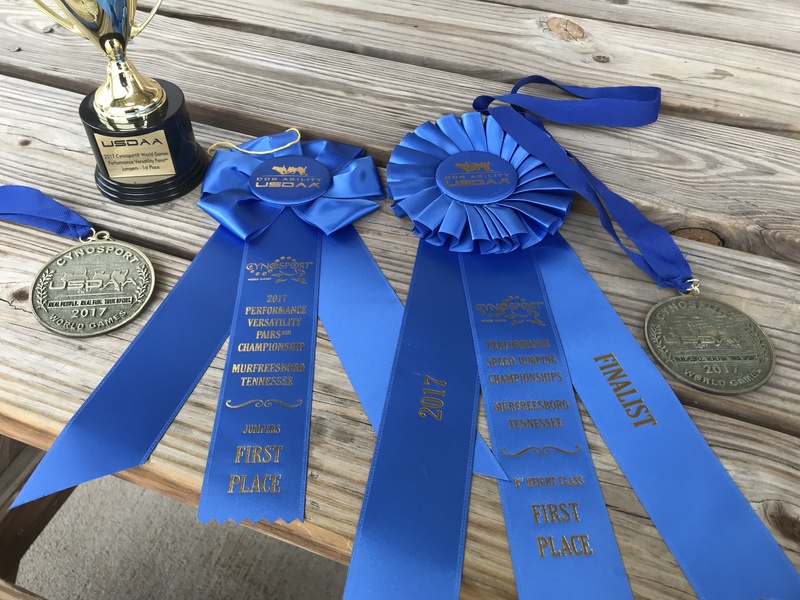 At the 2017 Cynosport World Games held in October in Murfreesboro, TN, club member and president Courtney Keys and her Cardigan Welsh Corgi, Francine, won 1st place in the finals of Performance Speed Jumping in the 8″ class! 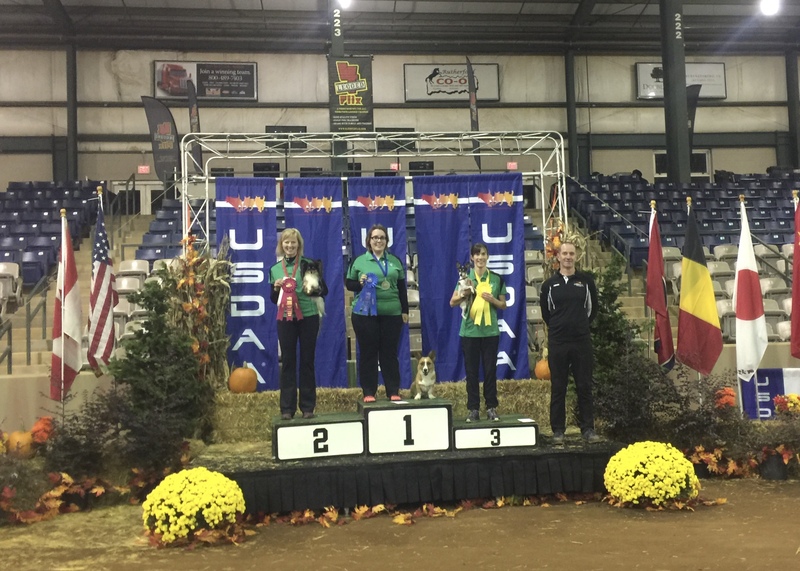 Fran also earned the gold medal in Performance Versatility Jumpers at the event! The Cynosport World Games is USDAA’s big tournament event, and awards Gold, Silver & Bronze medals and world championship honors in four distinctive tournament series, along with $15,000 in prize money.